Heeding Public Security Minister Gilad Erdan’s call, an Israeli settler organization establishes a hotline to report international BDS activists to the Israeli government. Israeli newspaper Ynet reported that an Israeli settler non-profit, Lev HaOlam (Heart of the World), has organized an informant hotline for people to report information on international activists that support the Boycott, Divestment, and Sanctions (BDS) movement. The hotline’s primary aim is to preemptively warn the Israeli authorities of such activists’ arrival to Israeli territory so that they can be deported. When an individual calls the hotline, a representative of Lev HaOlam will reportedly ask questions like how many activists the caller saw, what they were doing, what their names are, where they live, and whether they were seen using cameras or represent an organization. All information is logged into a complaint form. The hotline will run five days a week and complaints can be filed in both Hebrew and English. Lev HaOlam exists for the express purpose of undermining the BDS movement: it was founded in 2012 “to be the answer to BDS.” In addition to the hotline, the organization “bypasses international boycotts” to market products made in Israeli settlements to the rest of the world. Lev HaOlam is based in Shilo, an Israeli settlement in the West Bank. 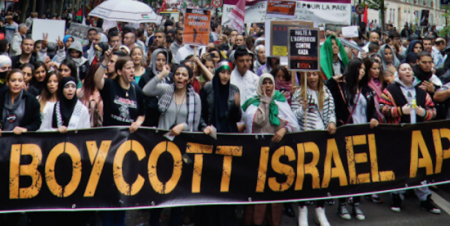 The BDS movement, on the other hand, advocates boycotting, divesting from, and sanctioning Israel as well as companies that collude with it until Israel respects Palestinians’ rights and international law. Despite the fact that as of yet there are no criteria by which the government will judge international BDS activists for deportation, Lev HaOlam pledges to pass on all so-called “relevant material” gleaned from hotline interviews to the taskforce. After failing to counter or even diminish the unmistakable impact of BDS in isolating its brutal regime of oppression, Israel is dropping the mask. It is revealing its true face to the world as a ruthless, warmongering pariah state, and it is resorting to the same repressive tools deployed by apartheid South Africa in its last chapter, before its eventual collapse. Earlier this week Rita Faye, a Swiss activist, was deported from Ben Gurion Airport. Shortly thereafter, Israel deported five American activists trying to enter the country.